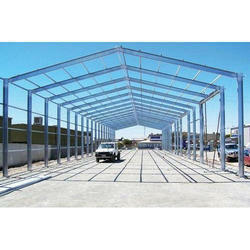 Pioneers in the industry, we offer industrial shed, prefabricated factory shed and industrial warehouse sheds from India. Industrial Shed offered comes in precision design and fabricated finish that is not only safe to use but also provides for superior insulation support. Being easy to install, these sheds are also waterproof and energy saving with option of customization as per the drawings provided by the customers. 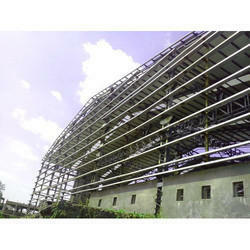 Some of its features include fabrication based on detailed design support, high finish quality of the sheds, main frame used comprises H beam with purlin option of C or Z section steel, presence of cross support/angle brace for greater stability, sandwich panel based roof/wall construction among others. Prefabricated Factory Shed offered can be made available in both standard as well as customized construction choices as demanded by the customers. Further, these are also easy to install as well as provide for longer service life. Some of its features include earthquake resistant structures, environmental friendly construction choice, use of superior load bearing parts for better structure durability, can be provided in different lengths, short fabrication time and quick installation, fire proof and rust proof finish among others. 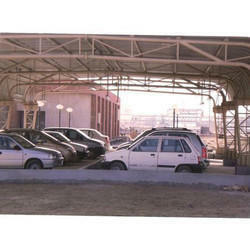 Looking for Industrial Sheds in Mumbai ?